Both Private and Commercial Pilot Licenses are only valid for Visual Flight Rules (VFR). In case of bad visibility or even overseas flying without visual landmarks that can be spotted, a Private or Commercial Pilot License will not be sufficient, therefore, the need for an Instrument Flight Rating (IR) becomes necessary. 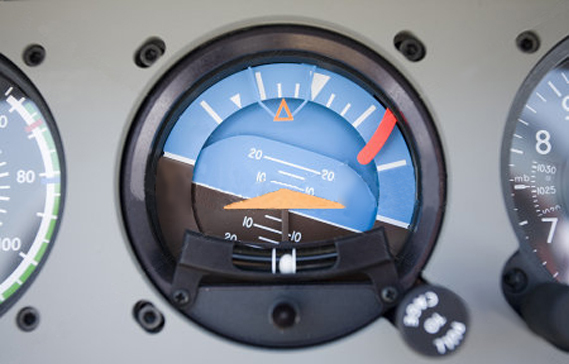 This rating will allow the pilot to fly in bad or low visual conditions, with sole reference to his cockpit panel instruments. The pilot will be able to safely maneuver his aircraft and follow accurate navigation itineraries through clouds, haze, fog, smog, mist and other low visibility conditions, without ever experiencing the necessity to see the ground. Medical Fitness – An applicant shall hold a valid Class 1 or Class 2 with the hearing requirements for the issue of a Class 1 Aviation Medical Certificate. Knowledge – An applicant will complete a course that includes a minimum of 40 hours instrument rating ground school. Experience – An applicant will complete a minimum of 40 hours of instrument time. Note: An applicant shall complete a minimum of 50 hours of cross-country flight as pilot-in-command in aeroplanes in order to meet the requirements of LAR s401.41 to be eligible to take the instrument rating flight test. The hours provided for the Tuition above are the minimum course requirement. According to the overall performance and progress of the pilot additional instruction may be required to meet the proficiency standards required to satisfactorily complete the Instrument Rating Program. The number of additional hours will be determined by the Flight Instructor.